They had a string of hits in the early ‘60s written and produced by the best of what The Brill Building had to offer. There was “Uptown,” written by Barry Mann & Cynthia Weil, the ludicrous “He Hit Me (And It Felt Like A Kiss) (Carole King and Gerry Goffin), “He’s A Rebel” (Gene Pitney), “Da Doo Ron Ron” and “And Then He Kissed Me” (Jeff Barry and Ellie Greenwich), to name but a few. All of the aforementioned classics were produced by Phil Spector utilizing the Wrecking Crew session musicians to employ his over-the-top “Wall Of Sound” production that sounded best when emanating out of a mono car radio speaker (preferably of early ‘60s vintage). But who were The Crystals…and did they even perform on all of the records that were credited to them? 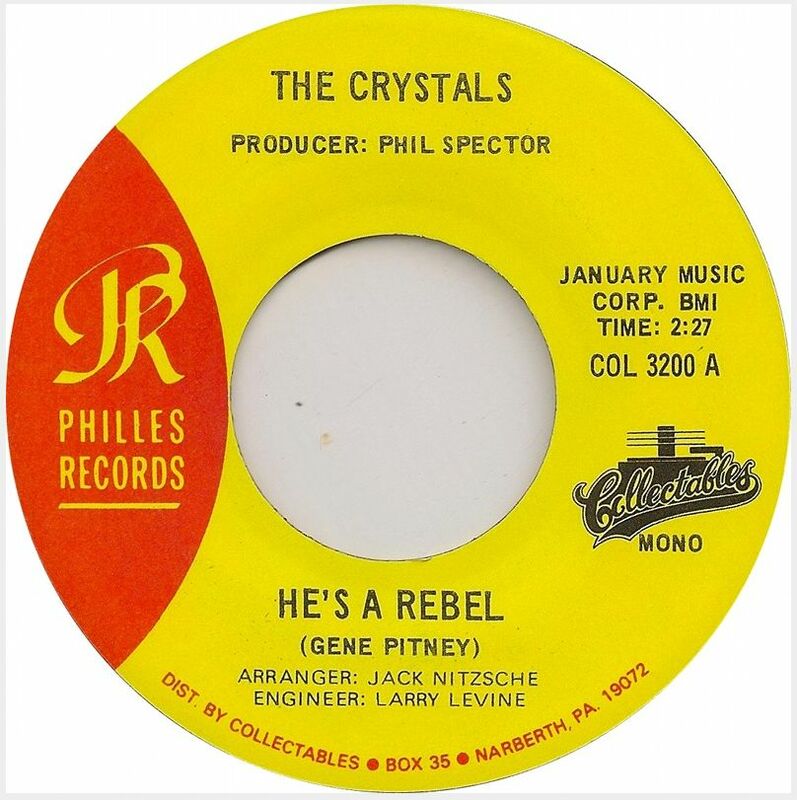 Once The Crystals began to tour in support of their hits, Spector began using whoever was available when he was ready to record, resulting in hit records credited to The Crystals that were actually performed by Darlene Love and The Blossoms. The song went on to top the pop charts in spite of New York DJ, Murray the K who sensationalized the story on WINS radio that the Crystals were not the group on the song. On the road, it was business as usual with The Crystals performing the song as if they actually recorded it. Darlene Love: “Between ‘He’s A Rebel’ and the Christmas album two years later, The Crystals didn’t sing on any of their own records, they just went out on tour to promote them.” (Record Collector via Songfacts.com) A slightly different version of the original group was soon back on their records until jealousy began to bear its ugly head between them and Spector’s other main protégé’s The Ronettes. 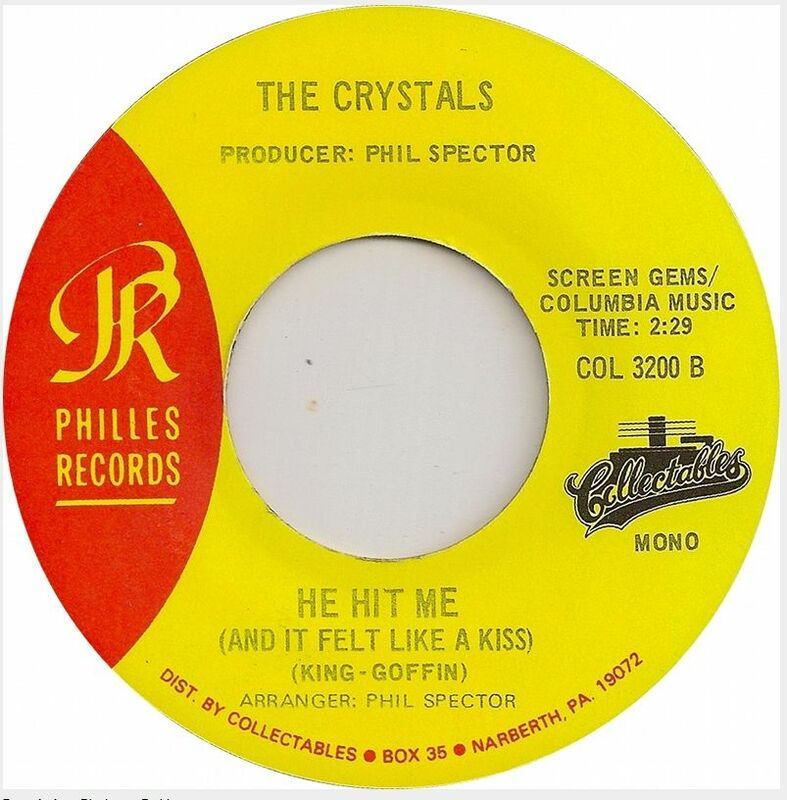 Things got so bad, that The Crystals finally dissolved and Spector used The Ronettes (billed as The Crystals) on several tracks of the album The Crystals Sing Their Greatest Hits. Such was the music business of the early sixties! No matter who was actually in the studio, I think it’s safe to say that The Crystals made a clutch of world-class classics that have stood the test of time. 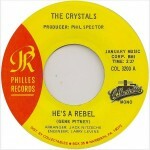 Phil Spector used the royalties from “He’s A Rebel” to buy out his partners at Philles Records using profits from the next two Crystals singles as collateral. The first single was the aforementioned “He’s Sure the Boy I Love” (recorded by The Blossoms as The Crystals), and the second single was a five minute tune called “(Let’s Do) The Screw.” The song featured Spector’s lawyer saying “do the screw” over and over again. A total of one copy of the 45 was pressed and given to Spector’s partner Lester Sill. The single made no money and received no airplay.